Apart from creating a platform for your business marketing. It is essential that you make your business known to the people you are targeting. This requires you to come up with different ideas that will help you generate leads to your platform. Lead generations can be based on the targets that you wish to achieve for a given period. For example, if you want to acquire sales worth a particular amount or generate leads to increase the number of audience in your site. 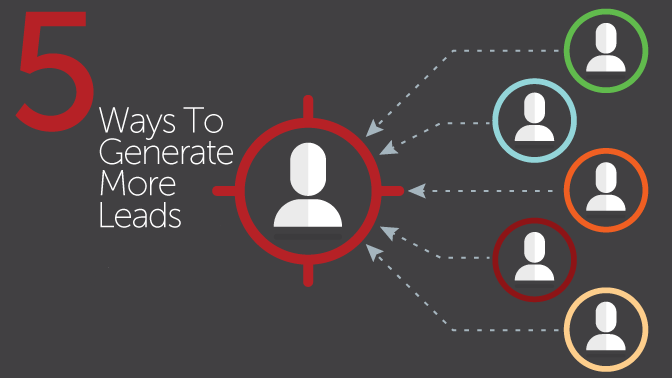 Whatever the objective may be, follow the below tips to guide you on how to create more leads for your platform. Having a website that is easy to navigate or access will generate a lot of leads to your site. Even if you have the best services or your products are of high quality, if your website has issues in either navigating or accessing using various devices, this will restrain people from even seeing what you have. So have your website designed in a way that your targeted customers can quickly reach it using various devices like smartphones, laptops, and tablets among others. Social media is another way that you can get traffic to your site. If you are signed to Facebook, Instagram or Twitter, post your products or services on your wall and then create a link to your site. Once your friends or followers click on the link, they will be directed to your website. If you have good products or services, this will lead to more referrals resulting in more traffic to your site. Some companies such as bidvine offers leads to your site whereby they link your potential customers to your site. All you have to do is sign up with the company provide information about what you are offering on your website, and they will do the rest. If you are a new online marketer or you want to reach a specific target, consider working with such professionals. SEO is the process where you get traffic to your website through getting top rank from the Google or other search engines.If you create an excellent seo site with the right content and keywords, Google gives you high rank such that when the researchers are looking for information related to your site, they will see you first. So if your content or products suites the customer’s, more and more people will develop an interest in your website. Thus ensure that the keywords that you create match your content since the researcher depends on the keywords to find the information they are looking for, and most importantly keep your site fresh by updating your website with new contents all the time. Customers tend to understand better if the information is relayed practically. Writing content is also excellent but creating videos to showcase how the services or products are supposed to be used helps in a significant way. Therefore, you can opt to have a video at the beginning or end of your content. Or, you can as well incorporate images on each paragraph or subheading you have on your content. Keep in mind that the more the content is precise, the more leads you will get to your site.